Design Patents: What are they and how can I get one? Design patents have been in the news lately, due to some high-profile lawsuits. So what’s the deal? People normally think of utility patents when the topic of patents comes up. (You know, like at cool parties.) Your company may have filed utility patent applications in the past, or maybe you’re considering it. However, it’s likely that you’ve never really encountered a design patent. To be clear, if something has a function, then by definition it’s NOT ornamental. (Unless the function is to be ornamental, I suppose, but that’s getting a little pedantic don’t you think?). This will make more sense when you see a few examples. In the excerpts below, what’s protected is anything drawn with solid lines. 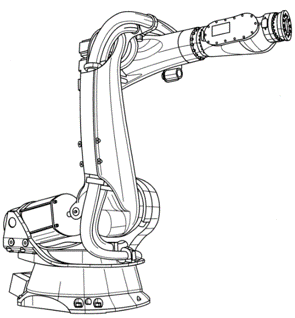 Here’s a design patent drawing for an industrial robot, covering the overall shape and configuration of the device. Here’s one for a certain mobile phone you may have heard of, covering the rounded-rectangle shape of the bezel and the small, sort-of-rectangular speaker at the top. And a pizza joint you might recognize, with a fairly distinctive roof. It’s Pizza Hut, in case you’re unfamiliar. The roof shape has also (always?) been included in their logo. There isn’t a written description. This is because the claimed invention is what’s shown in the drawings. It’s all about the appearance. If you’re thinking this sort of thing might overlap with Copyright Law and Trademark Law, you’re right. What’s Good About Design Patents? They’re much easier to get allowed by the Patent Office than utility applications are. The drawings are more expensive, but overall, design patent applications cost much less to prepare and file. Mainly because there isn’t much writing to do by the patent attorney. 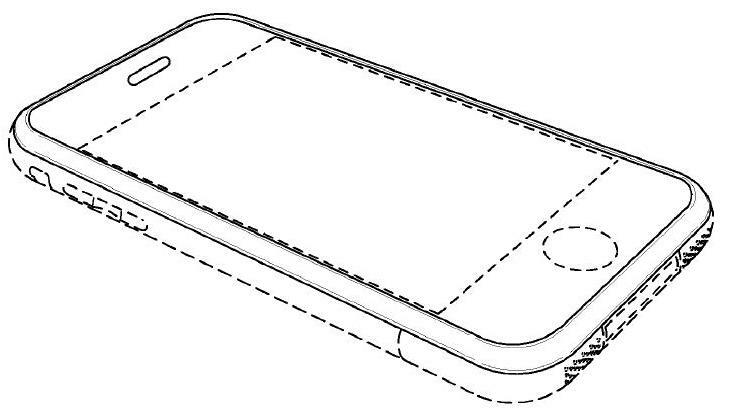 You can get a design patent (or many) on the same device as a utility patent, which adds a layer of protection. On average, design patent applications get through the examination process significantly faster than utility patents. Sometimes, a design patent is available where a utility patent is not. This is often true for things like the user interfaces of computer software programs. That being said, there are a few caveats when it comes to this type of patent. Design patents have a shorter lifespan: 15 years vs. 20 years for a utility patent. Design patents are also fairly easy to get around for a potential infringer. This is because the ornamental appearance of something can be changed pretty easily in most cases, such as by altering the shape a little or using a different surface pattern. Protection is narrower than for a typical utility patent. That being said, design patents are great for preventing lookalikes and direct knock-offs, and for going after competitors whose existing designs are too close to yours. If you sue, money damages may be based on the portion of the product affected by the design. If that’s only one component of a complex device, you may be entitled to only a small portion of the infringer’s profits.This is a contentious area of the law at the moment. (Google “article of manufacture” for more). The application process is similar to that for a utility patent, albeit with much less to prepare in the way of writing. 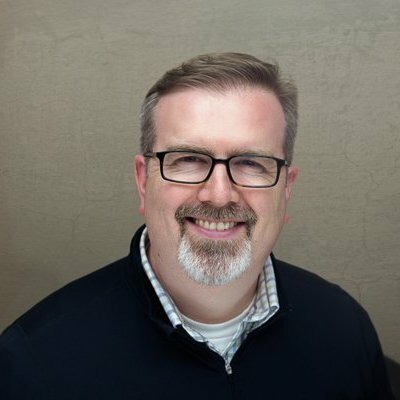 You’ll probably want to be sure your design is in its final form. Not much point protecting a preliminary design. Formal drawings will need to be obtained, and reviewed closely by your attorney. The application is filed with the USPTO, and examination will happen in about a year (give or take). You should discuss the best way to proceed with your patent attorney. Design patents can be an extremely valuable part of your IP protection strategy, and a vital part of your company’s patent holdings. Depending on the nature of your business, design patents might even make up the majority of your portfolio. In concert with your attorney, you should consider whether this route is advisable for your particular situation. As always, feel free to get in touch if you’d like to discuss!